Welcome to the online home of the Ups & Downs Theatre Group. Please have a look around our site, & find out more about our unique club, where young people with Down Syndrome from central Scotland come together with a shared passion for music, theatre and dance. Step into a world of fun, music and drama with the multi-award winning Ups and Downs Theatre Group. We would love you to join us from the 11th – 16th March 2019 (No Wed performance) for a truly uplifting and memorable evening of entertainment. Looking forward to seeing you in one of the best venues in Scotland – The Hamilton Town House. The Ups & Downs Theatre Group are dedicated to entertaining audiences of all age groups. Bringing live productions to popular venues with a large cast of highly talented young people. When school teachers George Barclay, Elaine Kirkwood and Theresa McKinnon decided to set up a small theatre group in 1995, they could never have dreamed the Ups & Downs would turn out to be the huge success story we have today. Being a music teacher, and having a background in drama, George was very aware that many of his young students with Down Syndrome had a shared love of music, and felt sure he could tap into their potential through the medium of song, dance & drama. They initially contacted Down Syndrome Scotland to find out just how many families would possibly be interested and were very surprised with the large response. Around 40 young people with Downs and their siblings signed up that first year, with parents, aunties & uncles, grannies & grampas watching proudly in the audience – tissues at the ready – as the curtains rose for the first time on their revue show. Over the past 24 years the club has continued to grow from strength to strength. We now have 73 cast members, all relishing their moment in the spotlight. 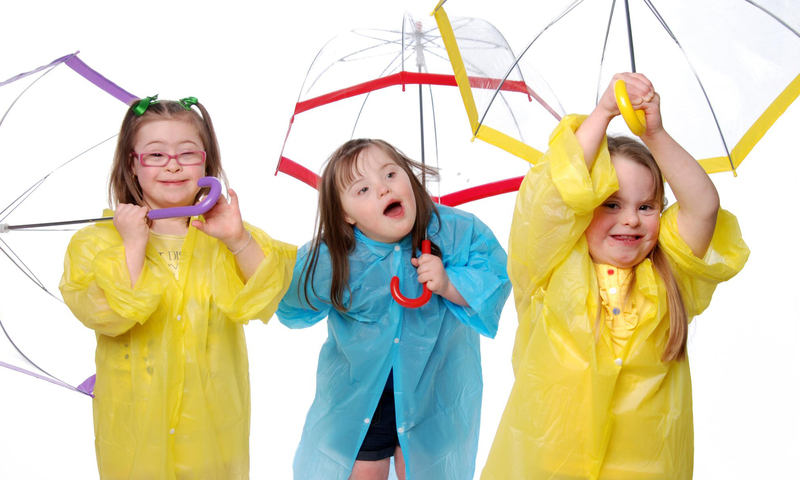 Young people with Down Syndrome can be funny, frail, musical, mischievous, wilful and witty – just like everyone else. They are individuals with their own strengths and weaknesses, likes and dislikes, hopes and dreams. This year, to carry on our winning format, we have our production team of Lauren Gilmour, Nicolle Brown and Alison Adam. Previously, they have all worked with our group as a band member, a helper and a sibling for many years between them and so with their knowledge of our cast and experience we’re sure once more The Ups & Downs can produce a show to wow their audience. Our cast have always risen to a challenge and this was well illustrated a number of years ago when it was decided to introduce drama in Act 2. The cast as ever rose to the challenge, and not only learned the choreography, script, and lyrics, but amazed the audience with their timing and the depth of feeling that they added to the production. The sheer quality of the performance had the audience literally captivated, and was a tremendous success, therefore this mixed revue/drama combination has been their winning formula ever since. With the clever scripts, colourful costumes, wonderful comic timing and well chosen songs, the cast delighted in breaking down any pre conceptions their audience may have had, and succeeded in showing a hugely positive face of the disability. Learning songs, dances and stage movements is obviously the main focus for the group and is no mean feat in itself, but it is not our only, or even the most important role. Ups & Downs provide our cast with a whole range of positive experiences: following instructions, working together towards a common goal, overcoming fears and negative feelings, exploring new talents and perfecting new skills. Over the years we have been extremely grateful to be able to further the success of the group with fund raising activities and support from many individuals, groups, businesses, schools and local authorities. it goes without say that we are always indebted to any organisation who wishes to raise funds for us in order that our work can continue. In 2009 we were thrilled to be awarded NODA’S (National Operatic & Dramatic Association) ‘Presidents Cup’ for our show ‘Take 14’ – which was voted the most outstanding experience of the presidential year throughout the UK. We were even more delighted when we discovered that we were the first club to bring the cup to Scotland in its 82 year history. In 2011 we were honoured to receive the Utopia Costumes Youth Award which is presented annually to the youth group/Society which has made an impact in the life of its local community. 2011 was also the year that the clubs then president Lorna Leggatt was invited to a reception at Buckingham Palace celebrating young people in the performing arts. The event was hosted by HM The Queen and the Duke of Edinburgh. Other wonderful opportunities have opened up for individual members of the club, including a selection of the cast recording a series of sketches for the BBC in a documentary aimed at ‘myth busting’ Down Syndrome. 2015 has now seen the groups greatest achievement to date; winning the Sunday Mail Great Scot Community Champion Award. This is a wonderful accolade and one which the cast, parents, helpers and supporters should be very proud of. Our President at the time, Angela Jack attended the awards ball with some cast and parents to receive the award. Angela said “To be honoured with this award is an immense recognition to the cast and to all those who have supported us over the years. This award was won by public support and to know that we are supported by our community and friends in such a way is tremendous. Due to my work with the group I have also received a Points of Light Award from the Prime Minister, David Cameron. To know that the Prime Minister knows about our group is yet another wonderful achievement for us and I am very proud”. With the club going from strength to strength, the future is looking very bright for the Ups & Downs. Don’t forget to follow us on Facebook to keep up to date with all our exciting news. Ups & Downs Theatre Group is a Registered Charity.